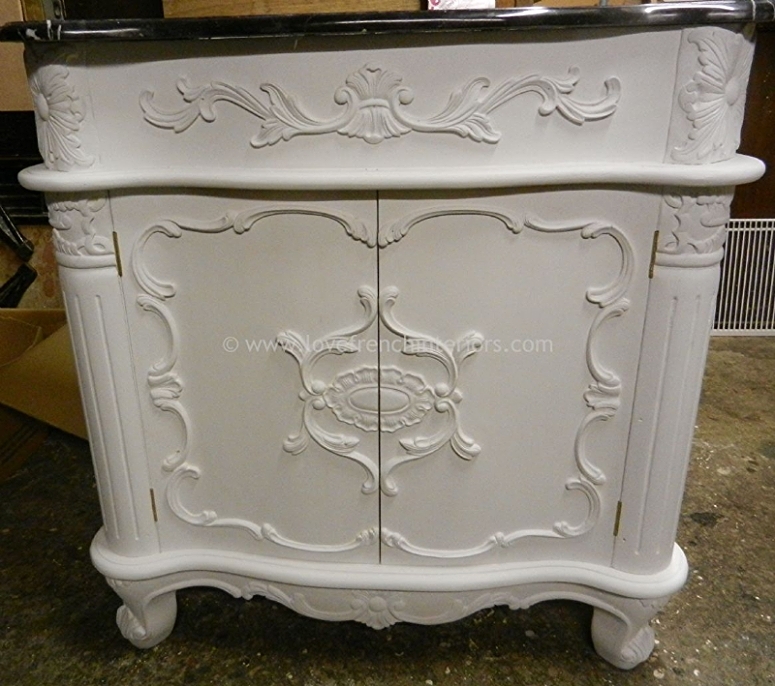 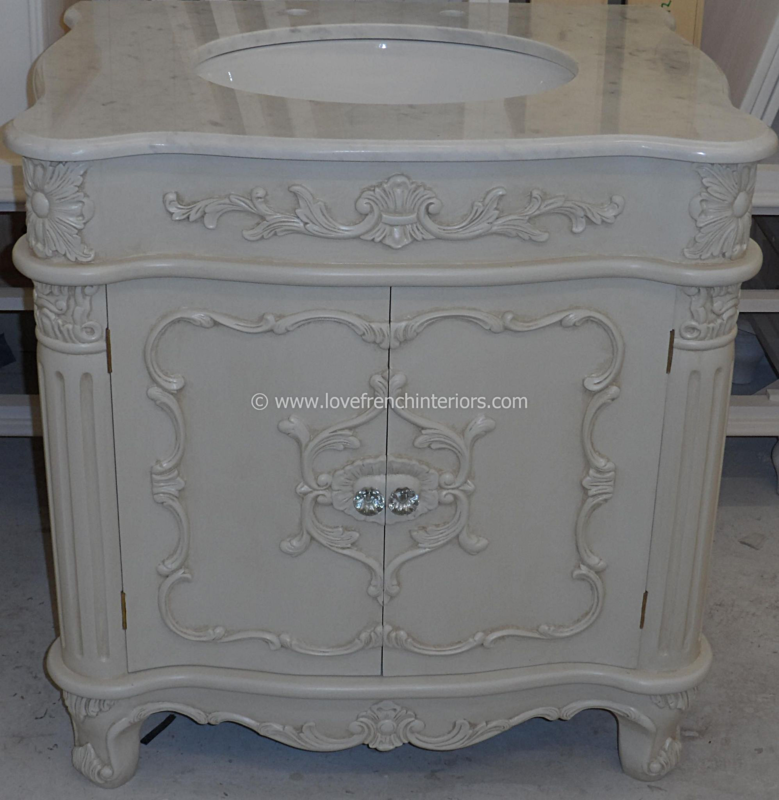 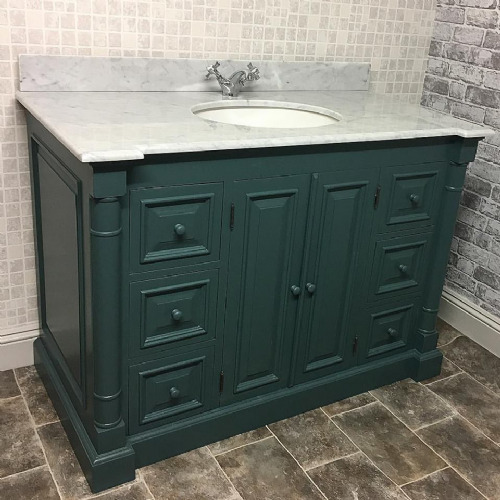 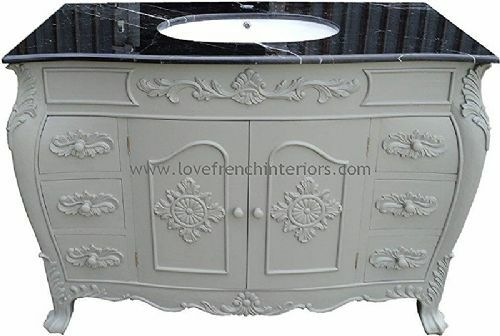 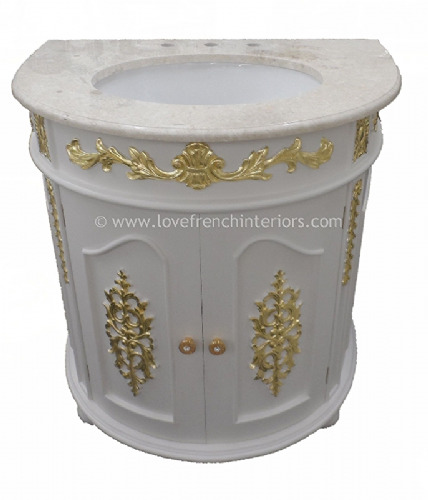 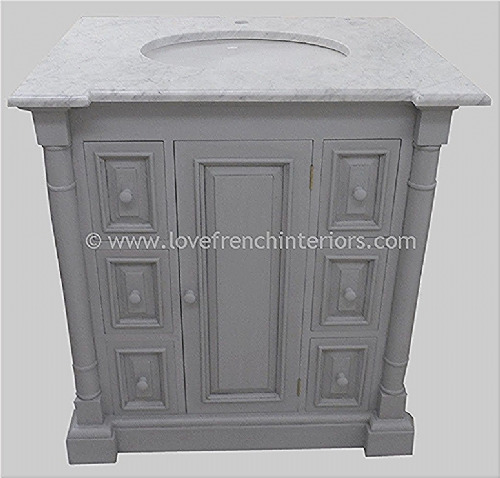 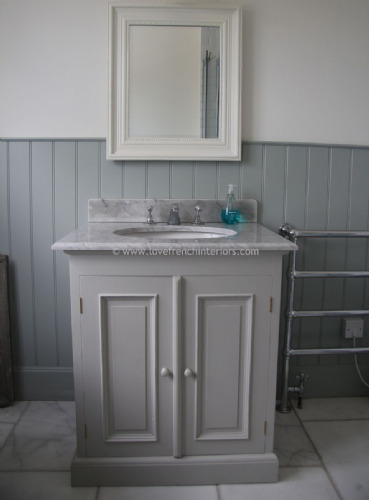 Our Bespoke Single French Vanity Unit with ornate carvings can be painted to the colour of your choice as all painting is completed by hand in the UK. 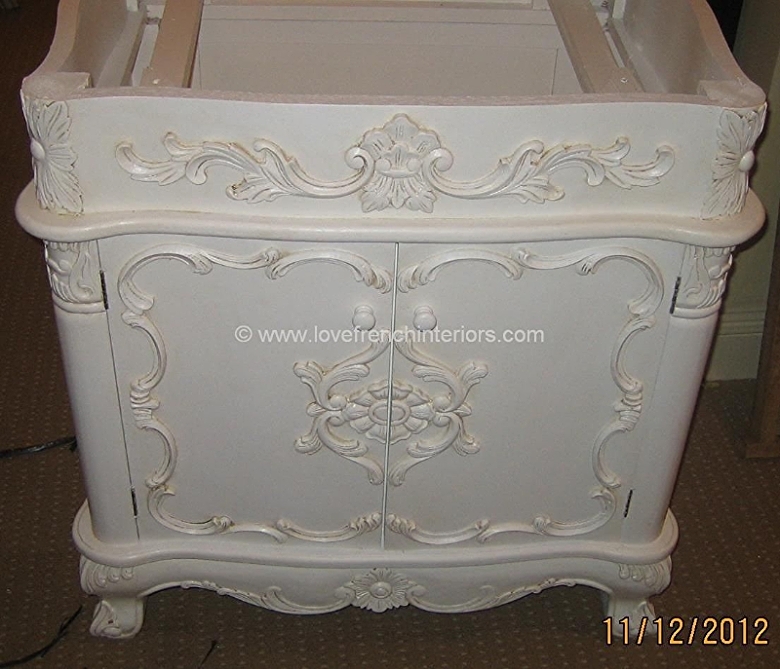 Examples pictured are shown here finished and unfinished awaiting painting. 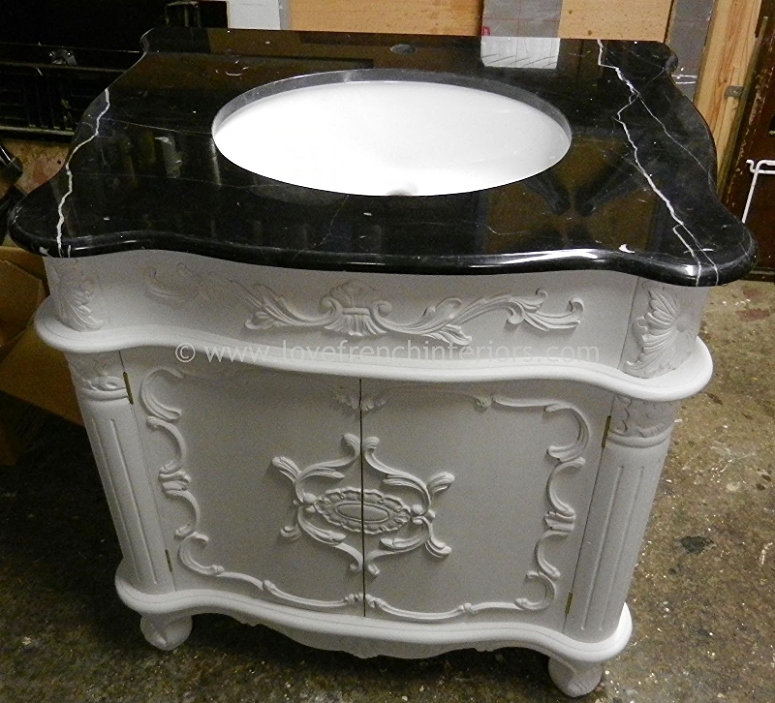 - A choice of marble colours available to order - black granite, cream or white marble.